The greatest civic duty that a citizen can perform is to vote. And governments must do their part by encouraging and helping citizens to vote by providing accessible polling locations with enough polling times to accommodate our busy population. So we commend Hidalgo County Elections Administrator Yvonne Rámon for recently working out details so that citizens in the upcoming November elections can vote at any polling location, county-wide, on Election Day, regardless of their precinct. This should make it much easier for the many of us who work and might not be able to get to a polling location near our homes in time. 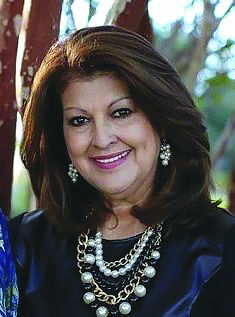 Rámon last month told Hidalgo County Commissioners that plans were being finalized for county-wide voting on Election Day, and her staff also is arranging with officials from the University of Texas Rio Grande Valley to study actual voter rates at all locations to help them decide which locations would be best to keep open for future elections. Less used locations would be consolidated with more popular locations. Opponents have been critical of the added costs for paying election judges and poll workers at so many locations. They also say there are a lack of willing poll workers in Hidalgo County and they warned in Hidalgo County Commissioners court that it might be difficult to fill all the slots with competent workers. But we believe it’s worth a try. And once the data is studied, then elections officials going forward can make adjustments for polls that just don’t seem to attract as many voters. What still concerns us, however, is a tendency to not offer extended hours during early voting. In particular, on July 25 Rámon had a testy discussion in front of commissioners with Edinburg City Councilman Richard Molina (who is running for Edinburg mayor) over extending early voting hours for county-run elections for the City of Edinburg. Molina said the city council wanted to contract with the county to run its November election and have the polls open from 7 a.m. to 7 p.m. throughout early voting. Ramon said the six other cities the county serves during what are called “constitutional elections,” (non-presidential elections held on odd-numbered years) historically have polls open from 8 a.m. to 5 p.m. Polls are open 12 hours on Election Day and two other days, including a Saturday, plus Sunday hours are offered. That conforms with the “minimum” mandated by the state, she told commissioners. “The election code mandates the minimum hours that we are open in a constitutional because historically the numbers are low,” Rámon said. Molina said the county’s current plan would reduce available polling hours by 21 from even-years when the Secretary of State’s office mandates longer hours. Open polls longer and help Hidalgo County residents perform their civic responsibility. We appreciate Rámon informing the court that, with newly increased pay rates for election judges and clerks, the county’s total cost to run the November elections could increase from $512,335 to $753,000 with extended 12-hour polling days offered. She has done her duty by informing the court. But if the extra costs borne by longer hours lead to higher voter rates, then we believe it will have been worth it. So we urge extended hours be offered to all cities and that commissioners approve these costs.